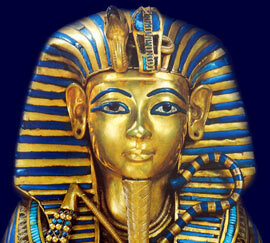 The time period covering the Egyptian Late Period is 672 BC - 332 BC. The names of the Pharaohs who ruled during these dynasties of Egyptian Late Period are detailed below. Artaxerxes III 343 - 338 B.C. Darius III 336 - 332 B.C. Our Egyptian Timelines provide a time driven list Ancient Egyptian pharaohs, periods, kingdoms and dynasties provide the generally accepted dates of each of these times - a chronology or list of dates of all the periods, kingdoms and dynasties of Egypt. So if you are interested in Egyptian Late Period then the important people and events, via a simple timeline, charting the key dates in Ancient Egyptian history will prove to be interesting.